This is us. Now one of the leading technology companies in Europe, we started out in 2000 as a privately-owned-and-managed business. Entrust us with any outsourcing project you imagine. Come bearing only questions. You will find that we are more than your average software development company: we are your managed service provider, your IT consultant and project manager, all with the benefits of our IT support services know-how. By committing to industry best-practices and by sourcing the right talent from the right location, we safeguard our clients’ best interest. Honestly and transparently. You might think that tech-people don’t appreciate a good talk. The truth is most of us would rather be where the action is, developing newsworthy software – but our background has taught us communication is crucial. Having to adapt, we’ve even come to enjoy the efficiency it adds to our work. It’s the most efficient business strategy we know. Our people-oriented approach secures our place as trusted partner and insures our clients can always find the best resources to empower their business. This translates into maturity, hands-on project management experience, consulting proficiency, and forever-young enthusiasm. We help businesses from a wide range of industries become more efficient and more successful. Clients focus on their core business while we solve their outsourcing needs by offering the best technological solutions, services and specialists. In the beginning, we were no more than a dozen people. Our business was growing every year, driving us to adapt and evolve in order to keep up with client requests and changing trends. In 2009, our numbers reached 100. The business emerged into one of the most successful stories of its kind in Western Europe, so each year meant more work and more people. Our expertise covers Healthcare, Education, Banking, High-Tech, Retail and Telecom. Trust us, this isn’t too many. This is just what we need to insure every project’s success. We don’t rush into hiring people. We think it through, we analyze and we develop sustainably, so when the deadlines are harsh, there’s no need to rush into any bad decisions. but with enough fresh IT blood to be young. In-house Sourcing vs Outsourcing. Why is Outsourcing the winning ticket? As highlighted in a study conducted by the Aberdeen Group, 80% of the top most outsourced IT activities worldwide are application development and maintenance. If you imagine financial reasons alone stand behind this decision, you’ve got another surprise coming. We’re always keen on developing mutually-beneficial partnerships with other talented people and organizations we can learn from. In a continuous search of new trainings to enhance our knowledge pool, our teams are always certified in the use of latest technologies and methodologies. 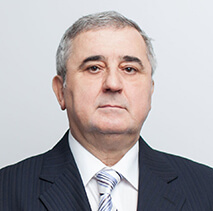 With 40+ years of experience in the IT industry, Gheorghe has an impressive track record of professional accomplishments. He has founded the company in the year 2000 and he has grown it sustainably and organically in the years to follow. He holds a Bachelor Degree in Computer Science and he has attended numerous trainings both in Western Europe and the USA. Working with people is his biggest passion. 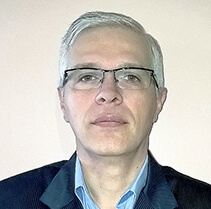 With experience in both the corporate and the entrepreneurial environments Andrei is a versatile business leader with a proven track record in directing business operations for international clients. He joined InCrys in the year 2010. 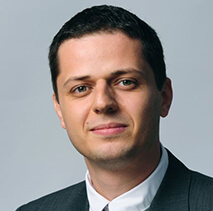 Andrei holds an Executive MBA degree from London Business School, and he is a strong believer in continuous education by means of experience sharing, as well as self or guided study of new industry developments. He loves sports in general, and he has a recent crush for scuba diving. 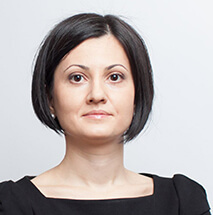 Cristina is a senior director who has previously worked in multinational corporations largely in the finance sector. At InCrys she is directing the finance and operations department and she is part of the company board of directors. 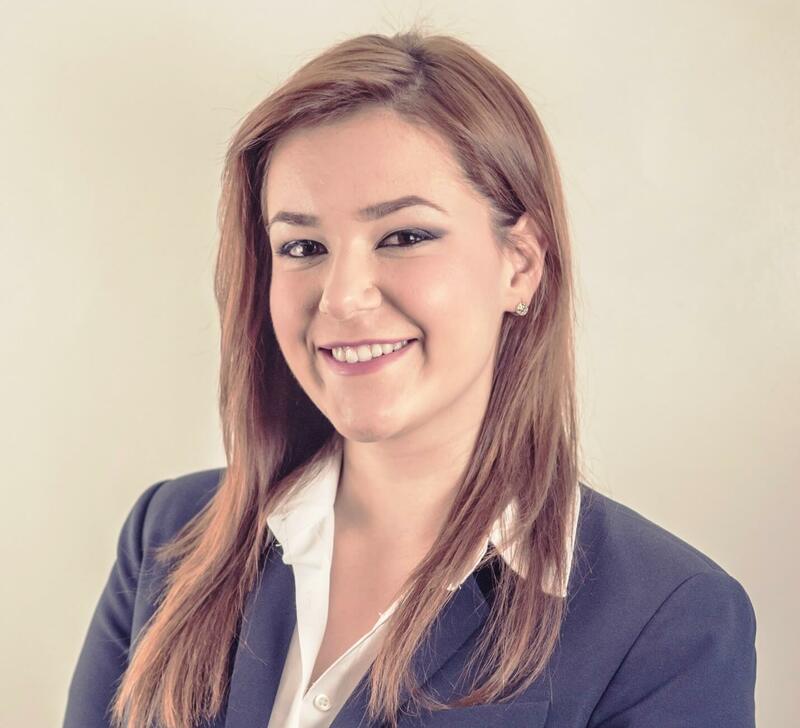 She holds an Executive MBA from Instituto de Empresa (IE) Business School, and throughout her post-graduate studies she has won several international contests on Strategy and Entrepreneurship topics. Cristina is a former professional chess player, and she has represented Romania in international contests as a member of the national team. 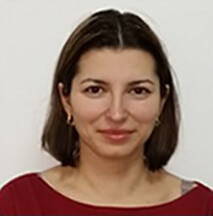 Marinela is a performance-driven HR professional with more than 10 years of experience in the IT sector and has successfully delivered projects for the Romanian IT market (big multinational companies and smaller local businesses), as well as international executive search projects. With a Master Degree in Communication and Human Resources she strongly believes that recruitment department is a strategic partner for any business. Marinela enjoys a lot team building activities, as she considers that communication and team working are keys to success. “Enjoy what you’re doing and keep using your common sense to achieve your goals”. With a broad experience in different countries and industries, he’s always open to new cultures and ideas and keen to meet new people. Self-described as a ‘communication freak’, his open, friendly nature inspires and motivates. Sorin believes in leadership powered by respect and motivational behavior. His hobbies are travelling and photography. With a soft spot for technology and innovation, Adela is in constant search of new business development opportunities, and commits to helping you find the missing money-making piece to your business puzzle. She graduated from Hult International Business School in Boston, USA and has 5 years of experience implementing growth opportunities. Her passion is helping clients connect talent with opportunity, and maximize new potential. Art parasite, social butterfly and proud wine lover. Adela is a certified sommelier, and loves organizing wine tastings for those who are drawn to wine and its beautiful stories.